1288 freestanding cylindrical pillars and a large LED wall. That is the receipe for the stage at Eurovision Song Contest 2015 in Vienna. ORF today revealed the design of the stage, where all the magic will happend in May 2015. The stage is surrounded by 1288 freestanding cylindrical pillars with LED light, shaped like a giant eye. Measurement of the scene is 44 meters in the width and 14 meters in height. The background is a large LED wall that can be pushed aside. Florian Wieder is the Creative Producer and Production Designer, and has the task of designing the stage for this year's Eurovision Song Contest. It is not the first time he goes into stage design. In his portfolio is a wide range of scenes used for TV production: 16 MTV awards, "America's Got Talent", "Britain's Got Talent", Eurovision Song Contest in Dusseldorf in 2011 and in Baku in 2012, as well as the Austrian versions of "Star Mania", "Dancing With the Stars", "Heroes of Tomorrow" and "The Big Chance". He has also designed scenes to Beyonce, Jennifer Lopez and U2! 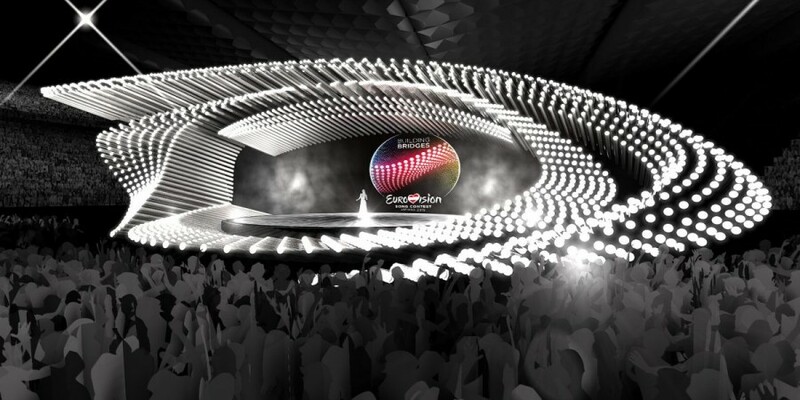 About the challenge to design a stage like this, he says: "The challenge with the Eurovision Song Contest is the size of this production. And not only the physical size of it but also the 39 participating nations who all expect to have their act staged in the best possible way". Lighting design is in the hands of Al Gurdon. He is one of the most renowned lighting designer in the world. He has previously designed the light for mega events like the halftime show of the "Super Bowl" with Madonna, "Victoria's Secret", "American Idol", 2014 Winter Olympics in Sochi and Eurovision Song Contest in Moscow in 2009 and Oslo in 2010.